A few months ago I wrote a post on how curiosity is a characteristic of great photographers. How do some people end up more curious than others? 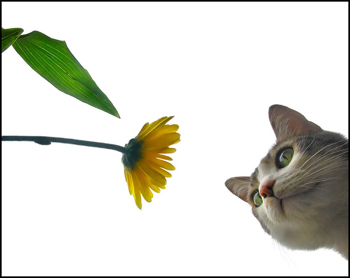 Is Curiosity a personality trait or can it be learned? How can I be more curious? As I pondered these questions I thought of the images that I see each day on Flickr’s interestingness pages (the shots in this post come from there). Some of the shots are just so unusual that I would never have thought to take them. Obviously there are some ‘curious’ photographers behind them – but how do they do it? I’ve never studied this but I suspect that while curiosity could well be something a personality type thing and that some of us will be more naturally curious than others – it is also that we can all probably learn how to be – to some extent. How can you add Curiosity to your Photographic toolbox? There are a lot of ‘rules’ going around when it comes to photography. Read the books (read this blog) and you’ll find them. Some of them have formal names like ‘rule of thirds’ and ‘the golden ratio’ while others are often just called ‘the right way to…’. Rules are a great thing to know (and use) – however the curious photographer often takes great shots because they not only know the rules but because they set out to break them. Take the Rule of thirds – sometimes the most powerful shots are those with a centered subject staring down the barrel of the lens. As a result they often learn things about their art (and themselves) that the rest of us don’t and their work improves because of it. Find someone with the same camera as you and ask them how they use it. Find a photographer from a different genre to you and ask them about their techniques. Look back over your last month’s photos and ask yourself what you did well (and not so well). One of the key questions you should get in the habit of asking is ‘what if’? Curious people don’t just ask questions – they also come up with solutions. Many of the solutions will end up being thrown away but if you ask ‘what if’ enough times you’re bound to make progress eventually. What if I held the camera on this angle…. What if I got my subject to stand like this…. What if I lay on the ground to take this shot…. What if I lengthened my shutter speed…..
An old teacher once used this phrase with me and it’s stuck in my mind ever since – ‘turn your Questions into Quests’. Asking ‘what if…’ (and other questions) is not enough. Keep a record of the questions that you ask yourself and keep coming back to them from time to time to attempt to find a solution to the problems behind the questions. Taking your questions to the next level like this may not always be fruitful but at times it’ll lead you on journeys of discovery to unexpected places. Set yourself quests and challenges for your photography. I occasionally set myself a list of photos that I want to capture in an afternoon or will have a week where I explore a theme (the assignments in our forum are great for this). While sometimes the best way to learn is by trying, making mistakes and then trying again – sometimes it’s more effective to find someone else who has already tried, made mistakes and tried again to help you avoid the pitfalls of photography. Find another photographer to buddy up with when you go out on shoots. Swap ideas, give each other tips and share the lessons that you learn. This is actually whey I started this blog and more recently our forums – I want to learn more about digital photography and I know together we’ll discover so much more. Edward De Bono has a lot of different exercises that help people develop lateral thinking skills. In a number of his books he talks about how one way to think outside the box is when you put random ideas together to find new solutions to problems. Get in the frame of mind where you regularly do this and you’ll be surprised at how your mind comes up with wonderfully creative things. The shot above of the guy under the umbrella with capsules dropping down on him is a prime example of this. Who would have ever thought to put drugs raining down on someone under a bright umbrella? Perhaps the most curious of people are children who do a lot of what we’re writing about here (especially asking questions). Another thing that children do is ‘play’. With no other agenda than having fun and seeing what happens next children will play with the things around them and experiment and push the boundaries of their environment. In doing so they learn about life, themselves and their world. I find that it’s often when I take this ‘playful’ approach to life that I’m at my most creative and make all kinds of discoveries. It is often directly after such statements that ideas stop being explored, projects end and people return to the humdrum of life. Learn to ignore such statements and follow your intuition and hunches and you might just find yourself doing something that ‘has never been done before’ that people wish HAD been done before. I’m sure many of the images in the Flickr interestingness page are the result of this evolution of ideas by people who didn’t know when to stop. One of the main things that I notice about curious people are that they rarely sit still and are always pushing forward and taking the initiative. Curious photographers don’t expect great photographic opportunities to come to them – but instead they actively search for them. They have a mindset where it almost becomes natural to ask, seek and find the things that the rest of us hope that will one day fall in our laps. Grab your camera, get out of the house, find some interesting subjects and start shooting. That great shot won’t just come knocking on your door! We live in a fast paced world where we race from one thing to another, rarely sitting still. Unfortunately it is easy to bring this way of life into our photography. We impatiently wait for ‘the shot’ and when it doesn’t quickly come we snap away and move on. However in most cases photography isn’t a fast paced medium. I learned this talking to a Pro Landscape photographer once who told me that some days he’d sit in a spot for a full day and only take a handful of shots. He had learned to slow down, to see the smaller subtleties of life, to be patient and the results were that his work was truly magnificent. Set aside a few hours this week to go and sit quietly in a pace in your town or city and watch the world go by. Don’t set yourself an agenda – just watch and when you see something worth photographing take the shot. Note: this post on being a curious photographer is an update of a previous post on dPS. We hope you enjoy the refreshed version. I do all three!! Take my camera everywhere (except work which is a SCIF), suffer the indignities of people who accuse me of not having film because I don't bother people having to approve my pictures and am so old I have to be slow and look around. Thanks so much for sharing your ideas with those of us that are “beginners.” Unfortunately, not all of us are “natural” photograpgers. You do give us some hope, however. Thank you for creating a great place for me to learn and become a better photographer! The next time I scan a blog, I hope that It doesnt disappoint me as much as this one. I mean, i know it was my choice to browse, but I actually thought youd have something attention-grabbing to mention. All I hear may be a bunch of whining about one thing that you just could fix if you werent too busy searching for attention. I wanted to thank you for this attention-grabbing I positively loved every little of it. I actually have you bookmarked your net web site to examine out the newest stuff you post. Thanks again Darren, for a wonderful article! great article! i'm new at this and constantly developing ideas to try out. sometimes though, you just get in a rut and it's so BLAH! i wish i wasn't at work- i'd be out there right now trying some stuff out....oh well, after work. I have benefited immensely through your school. It has propelled my interest in the world of photography. However, I am constraint with the third world problems of - internet services; payment, service fluctuation, exorbitant rate etc. I am keeping to my folder all my pictures because high rate of uploading. Someday it would be a better story. Every week i keep to the assignment and I try improve on my photography experience. Today, i benefited from curious photography and some other topics. I am developing my website, but for the fact that i have to attend to other commitment there making at a steady pace. This is a very interesting topic of all ur topics i studied since i got the subscription.. Thanks for an interesting topic. I have also learned the importance of being able to slow down. If I take a walk about with the camera in my home town and come to a place "where nothing happens", all I have to do is to sit down for about five minutes and look around. Then I often discover loads of possible subjects waiting for me. I mean it in a playful way...Your posts are apt and powerful. This article about how to be a Curious Photographer may actually serve as a guideline for how to live life in general. How to look at life. How to approach problems and obstacles in life. This is excellent philosophy or theology as well as good advice for photographers. Great post and some excellent perspectives. Just one thing. I'm pretty sure that's a woman under that umbrella. I was happy to see i was able to tick most blocks .......there is no such word as "cant" ......in my vocab ....the only word i accept is "Try"! Become a ninja! use your ninja skills to take ninja photos! then publish them on ninja webstites. Awesome post topic and the tips are right on point. slowing down is great for everyone, and should be a photography mantra. I always think of it as slowing down to appreciate the beauty . don't let others stop you, experiment, just when you think you're done - continue to play and you'll find something amazing comes to you. Taking time to work on your photography is so rewarding. The last tip: "Slow Down" shout not be taken lightly. For the 'kodak moment' to happen at the same exact time you arrived at the scene is rare, a little patience goes a long way. I never had any photography training . . except for your blog and a book I have. I do all kinds of things that I am not supposed to to and in general I have been happy with the results. I learn from others because I don't know how to do anything, which is why I landed on your site today. I want to try something with filters, and I think it will work. I do most of the things on your list but am going to print it to remind me that it is OK to play with my camera. This is great information, For all photographers this post can help them get a new lease on taking photographs again! Sorry, don't want to knit pick here, but doesn't the photo he says doesn't use the rule of thirds, really a perfect example of thirds. No the point of interest is not at the intersection of the vertical and horizontal thirds. But it still divides the picture roughly into thirds vertically and the subjects eyes line nearly perfectly into thirds. I'm not saying that rules are hard and fast, but when an image is appealing it usually is for a reason. Those reasons are the rules we talk about. Every time we hear someone say through out the rules we all jump on the bandwagon because we don't want to be like everyone else. What we fail to realize is that all good art uses rules. What makes an image great is how an artist choses to interpret those rules in a way no one has thought about before. I guess what I would say is be more innovative with the rules rather than blindly following them. Neat article there! Those fine pictures have something in common: creative imagination. Actually, there can be two very different approaches - the first one has to do with using your imagination and actively creating an image, like in the picture of the pills raining down -- and the other is kind of the opposite, like the landscape photographer did - he just stayed in a place and took notice of his surroundings. In either case, a child-like curiosity is what leads to great photographs. Be ye like little children! Great article! I love how I've learned so much from the dPS blog and forums over the past year. As for what Fredrik said above, I'm in the same situation. I've often times found myself holding back from getting a shot because I was afraid that someone around me would think it was pointless or strange. I'm slowly working on getting over this because at the end of the day it's me who's going to be looking back over my work and I like to be able to surprise myself every now and then with something a little bit different. "Point 11 for me would be : â€œdonâ€™t be scared to have people looking at you weirdlyâ€, learnt that slowly myself !!!" I've realized the same thing. I used to ignore shots because I was intimidated be what people around be would think. Now I've pretty much overcome that large because whenever I go out photographing nowadays I always wear a pink t-shirt. And I'm not talking light-this-is-modern-clothing-pink, I'm talking Oh-my-god-help-me-shockingly-pink. People are more surprised by my t-shirt that they rarely react on what I'm photographing and since I spend a lot less time thinking about what other people think about my outfit I've also stopped thinking about how they react when I hold a camera in my hand. Sounds a bit wierd perhaps, but true. Creativity adds more art to pics. Most of the great shots are the rare ones. However to learn this technique you need a deeper understanding of the different angles of the subject. Sometime creative shots do not break the rule but add more rules. This article solidifies the belief that i always had, take chances, don't be afraid to make mistakes. I too, am a self taught amatuer photographer, and has always had a creative mind. I have developed a weekly ritual of taking at least 75 photos a day, and reviewing them on the weekend. What i have found in doing this is, my histogram readings improved. I now have more balanced waveforms where i am grasping the idea of light, and manipulating the settings on my Nikon D80, to achieve desirable results by leaving all auto settings alone, and shooting in manual, aperture, and shutter modes. You have to put the work in, no matter how creative you are, to become a better photographer. Whether an amateur or Pro photographer DPS always has fantastic tips for photographers! This is another example! I really like this article. The pace of today's world robs most of us of any modicum of creativity that we might be able to muster in an otherwise sane lifestyle. As I was told in a humanities class some years back, "Don't just do something...stand there"
Great article, extremely inspirational in my opinion. Great article. Reading this was definitely helpful to me in discovering ways to be a better photographer. What a great post. There are so many intanglibles when it comes to what makes a great photographer. This is one of those! great article and the pictures are really amazing!!!!!! Another good point, which applies to *any* field is: Don't be afraid to make mistakes. Someone once said, "The way to take great photographs is to take a lot of photographs." Yesterday there was an ice storm, and everything got a coating of ice. This morning the sun came out, shining through all that ice. I went out with my Nikon D70s and took over 200 pictures in the space of about an hour and a half. Some of them aren't that great, but there are some real winners in the batch. One of the biggest things that holds people back in any new endeavor is the fear of doing it wrong, of making a mistake. The solution is to just go for it. Certainly, learn from the mistakes of others, but don't be afraid of making your own. I was reading this thinking how it applies to approaching life itself, with or without photographing. An exploration of why and how of curiosity is very interesting. You are still putting the peg on photography and curiosity below it. I suggest you put curiosity at the top of the peg, and photography will take care of itself. Curious people examine things/happenings around them with great interest. It may be jus the barks of tree or how the building cat chases sparrows or takes a warm nap under the sun, just a few feet away form shadow.You need to perceive without your mind being in a hurry. That is the secret. Great photos may come, but being curious itself is greatly enjoyable. Try it!!! very well said. And this is the essence of photojournalism. Great article. The advice to "be more curious" reminds me of something a wise old photographer said to me once... "If you want to be a better photographer, stand in front of more interesting stuff". In other words, get out there! Travel! Seek out interesting people and things. You don't have to be satisfied with the same old crap in your own back yard. Sometimes this means getting over a fear of the unknown. you made it sound almost like Tao. except that "going with the flow" does not necessarily mean "sticking with the rules". might just as well mean the exact opposite - "observe and go figure - why". getting proactive gets you nowhere too - makes you go against the flow, makes you invent something that's just not there. slow down - yes. slow down, and let the flow reveal itself. Good stuff and good pics too! I love the read, its true, everyone just needs to relax and take everything slow. THANKS VERY MUCH , VERY INTERESTING. remember - Curiosity is the key to Creativity! I really like the idea of turning questions in quests. In a way, that's partially the reason I began my website. I intended it to have the effect of when I was interested in a particular concept or event, I would do research. Because I'm not just proving it in my own head, I'm having to prove it to others and show my work. This has universally resulted in me getting a lot more depth in the answers I seek and finding a lot of stuff I never knew I was looking for. Photography has been a lifelong hobby for me, but my main avocation is music. In music like photography we speak of rules and of techniques. I've always considered these synonyms, and have always preferred to think of them as the latter. The "rules" are actually tools, not constraints. Every time you "break" one with desirable results, you simply add to your repertoire. Thanks for very helpfull article and whole pages.. I love this site. I come here daily to see what new gems I can glean to add to my craft. Keep up the wonderful posts! I really enjoyed this article. I am going to try to slow down and to try to think outside the box. I really look forward to each week's email. It is the highlight of my week! hey that's really cool...thanks for posting my picture!!!! Thanks so much for sharing your ideas with those of us that are "beginners." Unfortunately, not all of us are "natural" photograpgers. You do give us some hope, however. Good reminders. Another thing to add is "move". I once had a freind who told me always look for a diiferent even odd perspective. He convinced me to climb a fire escape at a public concert. He just kept saying "move". Sometimes the hardest part of photography is trying to be creative. Learning the technical rules is one thing, but can lead to pedestrian shots. Letting your mind escape restraints is much harder (at least for me!). Thanks for the tips. It's a beautiful desert scape (or landscape)... What wouldn't you expect to see here? As in the photo of a Tuxedo clad cellist sitting in a straight back chair in the desert!!! What would a bug see? a baby? a monster? How high, how low can I shoot? And of course, the best part is enjoying the whole playful aspect. When we share ideas we all benefit. Thanks for sharing. Thanks for the reminder, I needed that. One of my greatest problems has not been getting out of the box. I've been thinking "Well, I need a purpose to go out and shoot, otherwise it's a waste of time and MB." But gosh, I've got a 200GB HD, I might at least go out and try something once or twice again. Haven't really done this for awhile. Thanks for the little shove to get me going again. Excellent points, I've always thought I was a curious photographer but...maybe not enough ! Point 11 for me would be : "don't be scared to have people looking at you weirdly", learnt that slowly myself !!! hey there, i love this article. it's so true and it's great. i'm being reminded of the usual but the unobvious. Thank you! Great entry, good tips on how to be more creative and actually follow through with it.